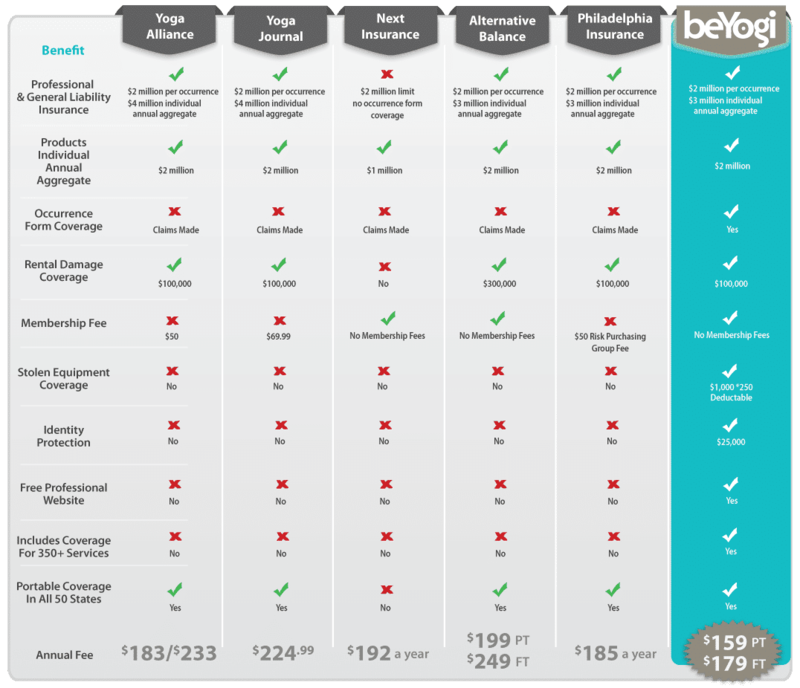 beYogi now offers yoga teachers and teacher trainees access to affordable, all-inclusive yoga liability insurance. Drawing on our experience and knowledge of the yoga world, we designed a yoga insurance program that covers whatever style you’re teaching, wherever you are, whenever you need it. Get your new part-time yoga instructor policy for only $159! Now covering SUP Yoga and AcroYoga at no additional cost! INTERESTED IN OUR MEMBER BENEFITS? Get the most benefits at one low price! For Yoga Teachers working less than 10 hours per week. Are you a yoga teacher training student? Grab a student policy for only $25! Get the protection and peace of mind you deserve, yogis. Receive professional, general, and product liability insurance. Get peace of mind with occurrence form coverage. With occurrence form coverage, you remain protected even after your policy expires. You're covered as soon as you checkout! You receive instant coverage and proof of insurance via email immediately upon checkout. Enjoy bonus coverage and free business resources. 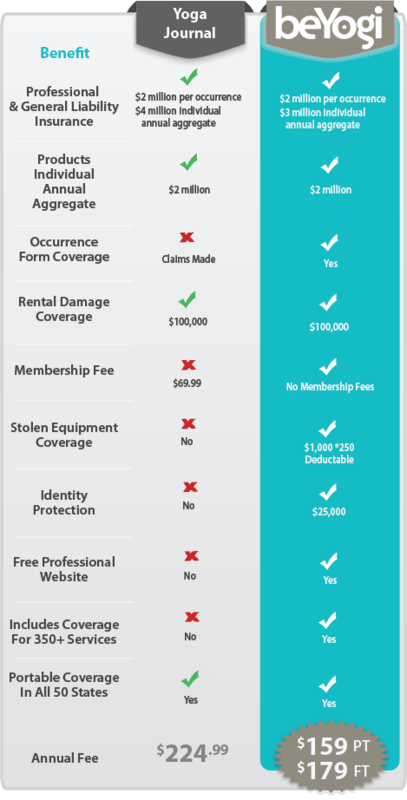 Plus, you get identity protection, $1,000 of stolen equipment insurance, a free website, and product discounts. Why do you need yoga insurance? According to the National Electronic Injury Surveillance System (NEISS), the number of yoga-related injuries treated in emergency rooms has nearly doubled over the last four years—and that’s just emergency rooms! While yoga teachers make every effort to teach their students about body awareness, accidents can still happen—and industry research reveals they are happening more often every year. So here’s the problem: Are you covered in the event of an accident or injury? Our yoga insurance program covers a multitude of yoga styles, along with hundreds of other ﻿﻿﻿﻿healing ﻿﻿﻿﻿practices. Click on your discipline(s) to find out if your services are covered. And if you don’t find your style or technique listed here, call us at (877) 630-8419 and we’ll let you know if we can cover you! Need to Weigh Your Insurance Options? Compare yoga liability insurance providers in the grid below. NOTE: The information in this comparison has been gathered from the websites of each organization and other third-party sources. No guarantee or assurance is made by beYogi as to the accuracy or completeness of this information. This information was confirmed on 2/14/18. 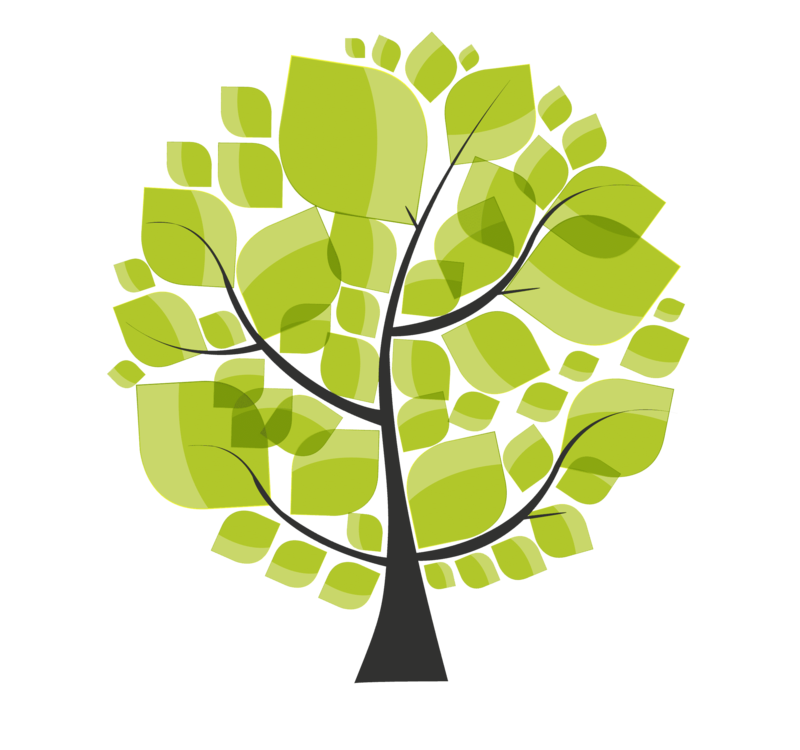 Every time someone joins beYogi Insurance Plus, we plant a tree in their honor. Thanks to our yoga community and our friends at Trees for the Future, thousands of trees have been planted so far. Help us grow a future for our planet by referring your friends to our program today. 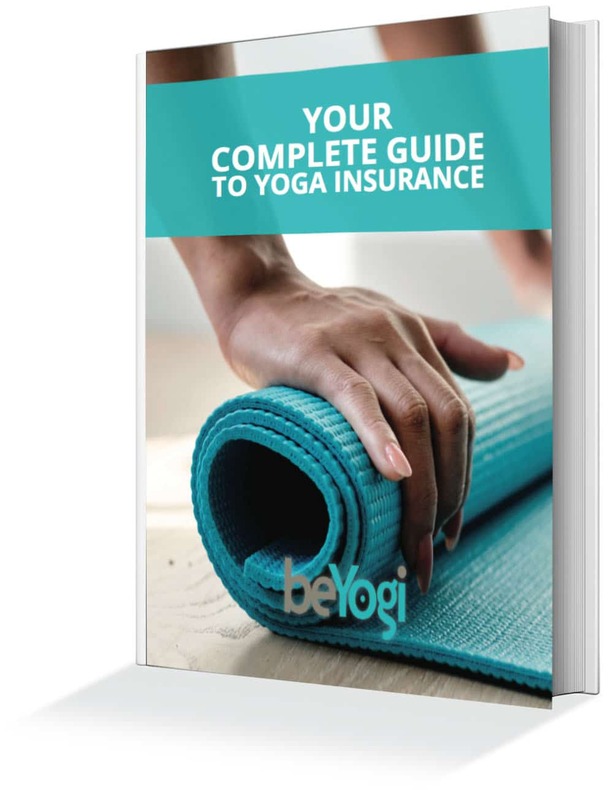 As a full-time yoga teacher, I have loved working with beYogi for my yoga insurance. They make it easy to sign up, offer great benefits, and are always there to answer my phone calls. It’s great to know that I am protected by an insurance group who knows what yoga teachers need. 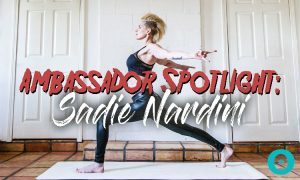 The coverage is amazing, and they make it a breeze to add an additional insured, which I use frequently for yoga events. Still have questions about our program or yoga insurance in general? No worries! The beYogi tribe is available Monday through Friday, from 8:30 AM to 5:30 PM ET. And we have an after-hours line, too! Contact us via online chat, telephone, or email, and we’ll get you the answers you need.